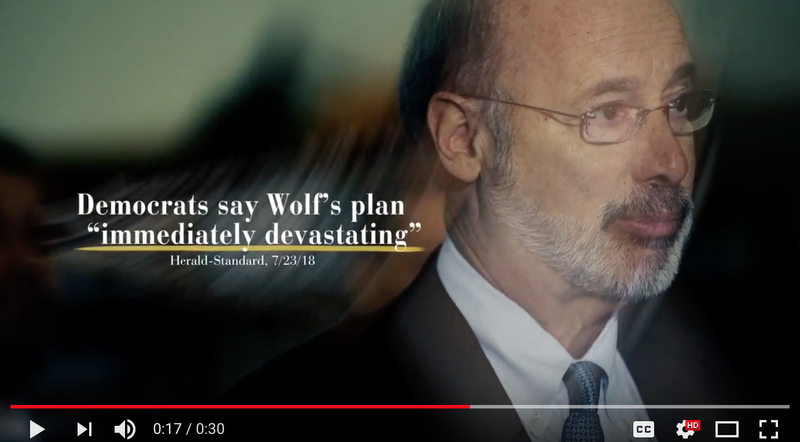 The Wagner for Governor campaign released a new television ad today contrasting Tom Wolf’s dangerous new education plan with Scott Wagner’s commitment to putting more money into Pennsylvania’s classrooms. “Drastic,” a 30 second spot running in various markets throughout the commonwealth, details the Governor’s plan to cut $1.2 billion from over 70 percent of school districts in Pennsylvania. The Governor then held a press conference on June 29 where he reinforced his support for the plan to a reporter from WHYY. Multiple other news outlets, legislators, school districts and school officials have pointed out how the Governor’s education plan will result in cuts for Pennsylvania’s schools. “Could it be that Gov. Tom Wolf’s visit to the Northern Tier in September of last year has already slipped his mind. Last fall, his office issued a press release, quoting him as saying: ‘It is important that smaller and rural communities know state government is listening to them and affirming their important role in our Commonwealth.’ It seems he’s quickly forgotten us. To implement this funding formula using 100 percent of state aid would literally bankrupt most of our rural schools. In fact, 357 of the state’s 500 public school districts would LOSE out on state funding. “House Appropriations Committee data shows that the governor’s plan would significantly slash state education dollars to nearly every school district serving District 65 students. Reed said it would force all Indiana County districts to close, except for Indiana Area. But Indiana ‘would go from a very affluent school district to a very poor school district,’ Reed said. “Wolf announced during an event in Philadelphia that he wants to distribute 100 percent of the state’s basic education funding through the revised basic education formula. ‘We’d have to close up shop as a school district,’ said David McDonald, interim superintendent of the Connellsville Area School District. ‘It’s our task to provide a world-class education for our kids. Not only could you not do that, but you couldn’t keep the doors open,’” McDonald said.